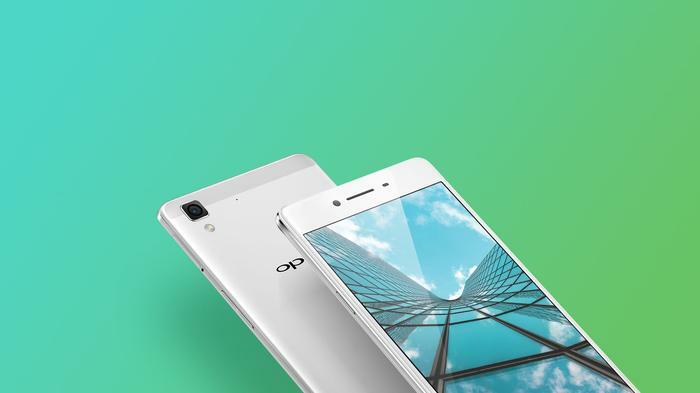 Oppo’s R7 extends the design language introduced late last year by the R5, which at 4.85mm, was formerly the thinnest smartphone in the world. The new smartphone benefits from being fractionally thicker at 6mm. 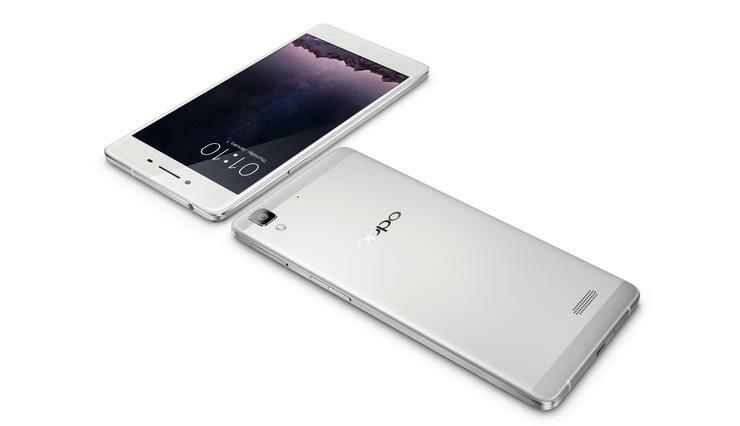 A downside with the Oppo R5 was the size of the bezel bordering the screen of the smartphone. Whatever the company saved in width, it relocated to the top and bottom of the screen. The R7 manages to strike a better balance with its proportions. The company has rounded parts of the smartphone in order to improve its ergonomics. The top, bottom and screen have all been shaved round to better accommodate hands. A standout feature of the R5 was its use of an AMOLED panel; a display technology capable of bright colours and one economical on power. The R7 has a 5-inch display with a 1920x1080 resolution and a high 445 pixel-per-inch density. Coupling a smaller screen with a larger battery should reap longer standby time from the R7. The battery has increased by 320 milliamps-hour to 2320mAh. Good Gear Guide was underwhelmed by the R5’s battery, which averaged a low 15 hours of use before needing to be charged. The company’s proprietary VOOC quick charger ships with the R7 and is claimed to replenish 75 per cent of the battery within 30 minutes. The cameras read well on paper. The rear 13 megapixel camera barely protrudes from the body and the front houses a large 8 megapixel camera. Inside is an octa-core processor from Qualcomm composed of a 1.5GHz quad-core CPU and a 1GHz quad-core CPU, 3GB of RAM and 16GB of internal storage. Storage can be expanded with microSD cards up to 128GB in size. 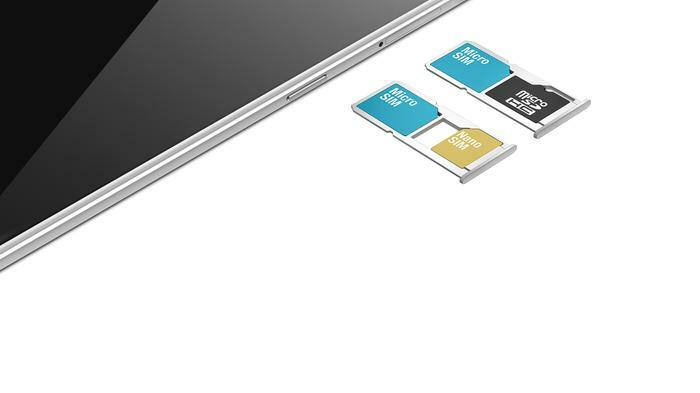 Customers have a choice of using the expandable memory slot for an SD card, or to use it as a secondary SIM slot, as the Oppo R7 is a dual-SIM smartphone. This is a nifty trick few Chinese smartphone companies have introduced, along with Huawei and ZTE. Oppo coats the Android operating system with a heavy overlay known as ColorOS. The version shipped with the R5 appeared dated compared to the fresh design of stock Android 5.0 Lollipop. 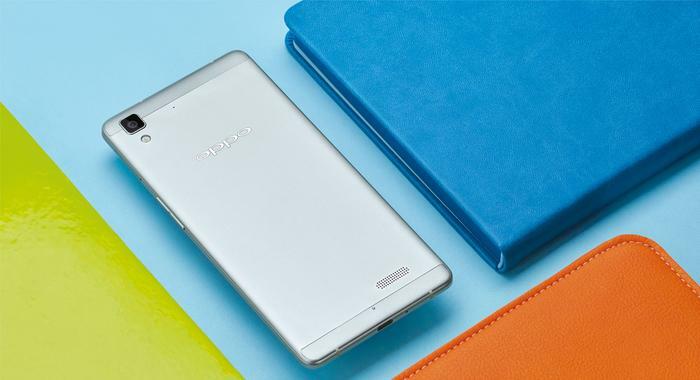 Oppo has updated its software to ColorOS 2.1; however, it remains based on the older 4.4 version of Android. The R7 was unveiled yesterday at a launch event in Beijing and will go on sale in Australia within a few months.